With winter breathing down our necks, it’s time we turned our attention to the new jackets and coats in our Autumn Winter 2018 collection. 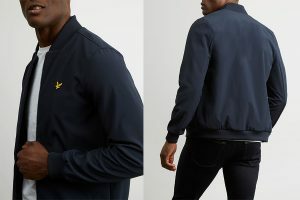 All the usual favourites are here, with classic styles by Farah and Lyle & Scott, but we’ve also three new brands this year: Sik Silk, Gym King and House of Cavani. 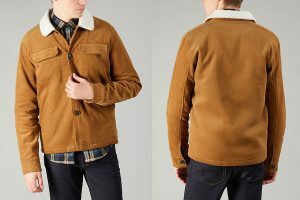 We’ve picked out 6 pieces of outerwear that covers all the bases, with Sherpa collars, heavy-duty parkas and lightweight bomber jackets. Fully Sherpa lined, including the eye-catching faux fur collar, this stunning new Farah jacket leads the way in our Autumn Winter 2018 jackets collection. Our customers love the soft corduroy fabric and traditional button fastening, plus the convenience of having four front pockets (and an internal one!) Further touches include a metal branded badge on the faux fur collar and double button cuffs. Available in Medium to Extra Large in Canvas (pictured) and True Navy. Gym King made their name with slim fit T-Shirts and Tracksuits, but their outerwear range is just as impressive. This quilted puffer jacket boasts reflective silver piping down the arms either side of a black panel detail. 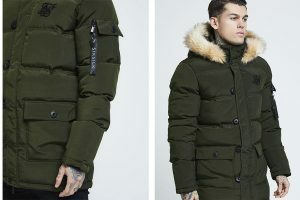 The elasticated cuffs and welt make for an extra snug fit, as does the high neck and warm quilted hood. Buy this streetwear stunner in Small to Extra Large for £80, which represents amazing value for money! 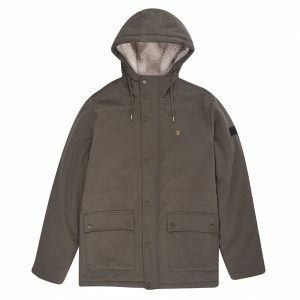 This Farah jacket in Vintage Green boasts a super soft, heavy washed twill, tough enough to keep out the wind and rain. You get double protection with the fly front and stud fastening button placket, plus extra-secure double front pockets and interior pocket for your valuables. On the inside, there’s twice the warmth and comfort with a generous half “Sherpa” lining around the chest, back and hood (the rest is onion stitch quilted lining.) Knitted storm-cuff stops the wind from shooting up your arms, and two adjustable drawstrings (mid-waist and hood) allows for a more snug, fitted look. 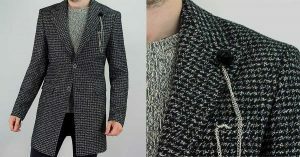 Many gents relish the chance to wear a classy overcoat in the colder months, and we recommend House of Cavani, one of our new brands this year. Tailored to frame the shoulders and fall just past the waist, this coat makes a real statement as well as keeping you warm in its wool-rich fabric. With an all over houndstooth pattern, there’s nothing quite like it in our menswear range. It’s equally at home worn with jeans and casual wear, or even over a formal suit jacket. Find your perfect size from 38in to 48in. Here’s one to get you noticed this winter! 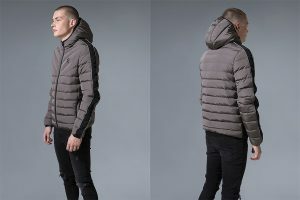 Sik Silk’s heavy duty “Puff” Parka Jacket features a chunky button-and-zip placket and generous quilted padding to keep out the wind and rain, as well as a comfy storm-cuff. There’s two large fleece-lined pockets at the front with buttons for security, as well as a smaller pocket on the left arm with a decorative side zip. But the highlight has to be the majestic faux fur hood; nothing like a comfy lion’s mane to keep your bonce toasty warm! Available in Small to Extra Large.